Origen started as a noble idea. Founded by popular player Enrique “xPeke” Cedeno Martinez in late 2014 with an eye on making to the European League of Legends Championship Series (LCS), the team outperformed everyone’s expectations. But things fell off drastically in 2016 and now, the 2017 roster is raising even more questions. The biggest concern: How does a player-run organization fit into the modern League ecosystem? It used to be that the inherent value in a League franchise was it’s spot in the LCS. xPeke and Origen earned that spot and have kept it against all odds. But they’re also finding out that in the LCS of tomorrow, the very idea of what a team is and does has evolved. And that evolution has left Origen in the dust. Before launching Origen, xPeke played with Europe’s most successful and stable esports franchise: Fnatic. He gained experience on how a first-rate organization is supposed to be run and brought with him some of Fnatic’s branding savvy and ideas for monetization. A visit to the Origen website gives the feel of a well-oiled machine. Origen-branded gear. Well-designed logos and graphics. XPeke convinced a bunch of near-stars to join him in 2014, including Maurice “Amazing” Stückenschneider, Alfonso “Mithy” Aguirre, and fellow Fnatic player Paul “sOAZ” Boyer. xPeke would man the mid lane while the team turned to a young AD Carry in Jesper “Zven” Svenningsen. The moves paid off as Origen’s unusual synergy carried the team all the way to the semifinals of the Season 5 World Championships. From the Challenger Series to a top-4 finish at Worlds in less than a year? The future seemed unlimited. Then came a tumultuous 2016 in which Zven and Mithy left under unclear circumstances, Konstantinos “FORG1VEN” Tzortziou came and went in an even more baffling manner, and xPeke was forced to sub at AD Carry. Yes, they retained their LCS spot, but the team drifted apart. 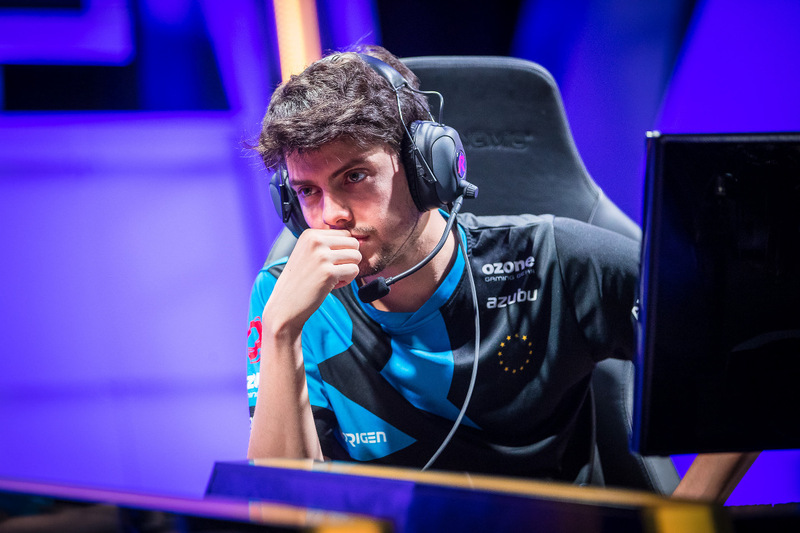 Origen is learning that holding on to the LCS spot is no longer enough. Rather, it’s only one piece in a large, complex structure. XPeke knows that; he’s tried to step away as a player multiple times to give him more time to run the organization. Modern teams require extensive support staff behind the players; Team SoloMid owner Andy “Reginald” Dinh indicated in a recent interview with Duncan “Thorin” Shields that the player:staff ratio was roughly 2:1. There are sponsors to manage, since the LCS prize pool is hardly enough. The list goes on and on. Then there are the player salaries themselves. An LCS spot is in some ways a penny stock: Hold on to it long enough, and someday when LCS revenues expand, there could be a payoff. But short careers, the threat of relegation and the uncertainty around Riot’s plans for the LCS make it extremely difficult to keep holding on. Players like sOAZ and Amazing are wisely cashing in their stocks for guaranteed salary now, plus the opportunity to compete for a championship. That’s why there are so many venture capital firms moving into League esports: They are the most prepared to absorb the financial pitfalls of holding on to risky stocks. All of this has left Origen’s roster in disarray. XPeke is likely going to start again, at least until Korean import Yoo “NaeHyun” Nae-hyun arrives. The community reaction to that signing has been less than enthusiastic; NaeHyun’s professional career is unconvincing at best, and it’s anyone’s guess what communication will be like. It’s hard to tell what the team is going to look like this year. XPeke’s noble idea, that players could own their own LCS spot, is on a perilous edge. But regardless of what the future holds, he has accomplished incredible things and he can be proud of the team that he built. The future is increasingly muddy but he’s given his fans an unforgettable ride.